The Higher Education Commission of India Bill, 2018 seeks to repeal the University Grants Commission (UGC) Act, 1956 and establish the proposed commission. The Government has asserted that the proposed Higher Education Commission would be an "independent" body and that rights of states would not be impunged, amid concerns expressed by members over replacing the UGC. The Higher Education Commission of India Bill, 2018 seeks to repeal the University Grants Commission (UGC) Act, 1956 and establish the Commission to effectively attain standards and enhance quality of higher education. Human Resources Development Minister Prakash Javadekar told the Lok Sabha that the new body would not be a government ministry but an independent body. "We are not converting it into a bureaucratic organisation... it will remain independent," Mr Javadekar said, adding the context has changed now. When the UGC was set up in 1956, there were 20 universities, 500 colleges and around 2 lakh students. Now, there are over 900 universities, 40,000 colleges and more than 3.5 crore students, the minister said. Raising concerns, some members wanted to know why the UGC is going to be replaced. The minister said there would be two commissions, one for providing grants and the other for carrying out regulatory functions. "That is the whole idea," he said during the Question Hour. According to the minister, the grant disbursal function to universities and colleges is now proposed to be located in an entity which works in a transparent, merit-based approach through an ICT (Information and Communication Technology) enabled platform. Making it clear that rights of states would not be impunged with the creation of the new body, the minister also said there would not be any change at all in existing reservations for OBC, SC and others. 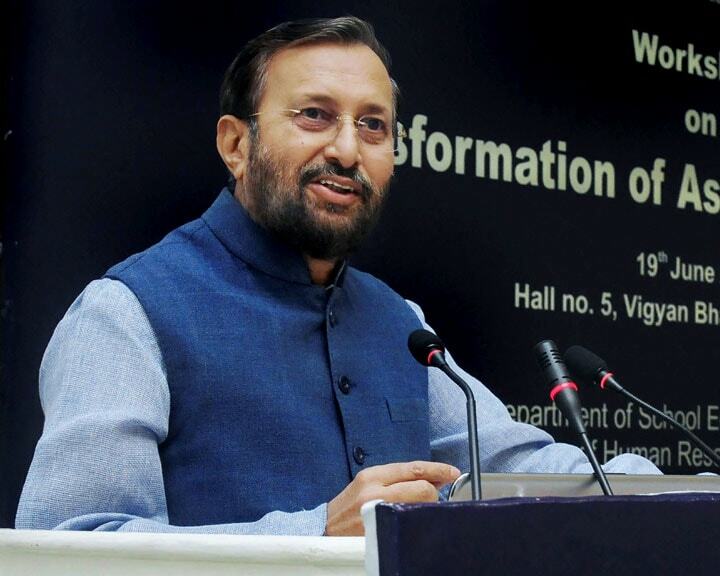 "The proposed Higher Education Commission of India will focus largely on promoting the quality of academic instruction, maintenance of academic standards and grant of autonomy of higher educational institutions," Mr Javadekar said. The ministry is in the process of finalisation of the draft Higher Education Commission of India Bill, 2018 based on suggestions/comments received from various stakeholders, he said. The draft bill now proposes to enable the Commission to perform its role effectively in attaining standards and enhancing quality of higher education, he added. Responding to concerns raised by members, Mr Javadekar said the draft bill has been amended and that would go to the Cabinet for approval. Around 10,000 suggestions were received on the draft. Mr Javadekar said it was selected from 11 private proposals under the greenfield institutions category. To a query on why no state-run university found a place in the institution of eminence list, he expressed hope that public universities would be there in the next list. The intention is to have 20 world class institutions in the next 10 years, he added. During the Question Hour, TDP members stood at their seats with some placards kept on their desks as they sought to raise demand for various facilities for Andhra Pradesh. On Friday, the no-confidence motion moved by the TDP was defeated in the House.